20th Century Fox TV and Fox appear ready to end the long-running hit after this season, the show’s eighth. According to Variety, 24’s end has recently come a step closer, a ninth season is looking increasingly unlikely, but a Movie is still defintely a possibility. We’ve all heard the Movie rumours before, every time they emerge they appear to have a little more weight and reality behind them, and while it’s started to become a little boy who cried wolf, the latest batch that have arisen today have more weight than any previous. Reports in Variety.com and and Entertainment Weekly’s website have the same common details. Fox have recently heard a pitch by “scribe Billy Ray (“State of Play,” “Flightplan”) … which takes Jack Bauer to Europe”. Both articles point out the circumstances under which the project would move forward. “Fox doesn’t have a deal for a ninth season of “24” and hasn’t yet decided whether to order another season.”, Ratings in the coming weeks are apparently the key factor in the possible renewal for the ninth season. While not laid out explicitly in either article, it would appear that Fox as a corporate entity aren’t facing a straight choice between a ninth season and a Movie. Rather the Fox Television Network must decide if they wish to enter talks over a ninth season. If the network pass then it’s up to 20th Century Fox TV and Film Studios to decide if to move forward with the Movie. Personally i’ve always thought a 24 Movie would be interesting, although if the decision is made because the number don’t add up on a ninth season and not because creatively the producers thought it was the way they want to go, then suddenly i’m less interested. So the Season Eight Premiere has come and gone, and obviously it would be slightly odd for it to pass without some new post on a site called “24fans”. This is just a quick post to let you know what you can expect from the site over the course of Day Eight. Unfortunately both myself and J_A reside outside of America, meaning we can’t post along with the U.S. schedule. Myself I will be posting my thoughts on the new episodes as they air in the U.K. roughly a week after the U.S., and if you wish hard enough I’m sure J_A will share her thoughts on a Tony-less Eighth Day. We’re also always on the look out for new contributors, so if you fancy posting your thoughts on the latest episodes where a lot of fellow fans can read and disagree with you, get in contact with me at webmaster@24fans.com with a little bit about your self, along with a sample piece about the new season of atleast 200 words. 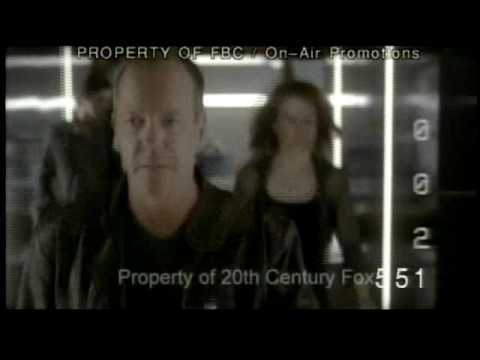 It’s 2010, and with Season 8 is fast approaching I thought i’d pause for a minute and reflect on Season 7 and what we hope and expect from the new and possibly final Season of ’24’. This will contain spoilers for the end of Season 7 and discussion of rumours about Season 8. You’ve been warned.